A quiet end to the trading year for the eurodollar which ended in a consolidation phase between the USD1.43 and USD1.44 price region. 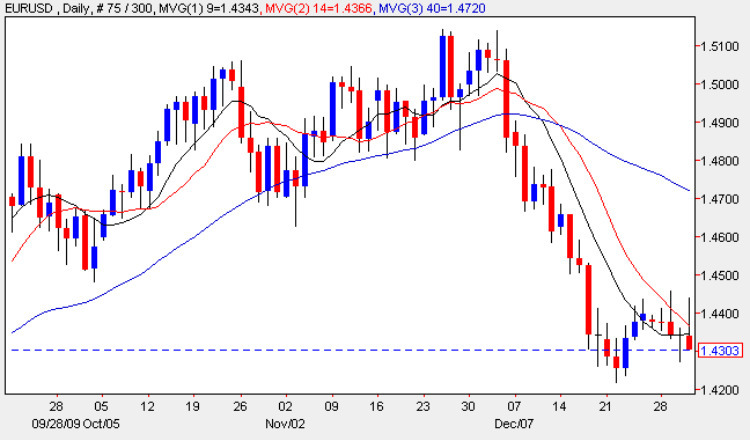 However, this sideways price action also included important bearish signals with two of the last three candles closing with significant and deep wicks to the upper body suggesting that the temporary rise in the middle of December was merely a pause before a further decline is seen in the eurodollar in the early part of 2010. 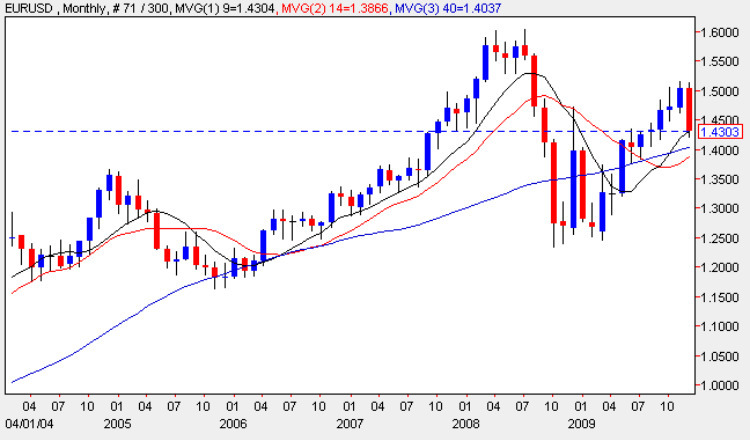 For longer term trading the monthly chart is also exhibiting a bearish flavour with December’s engulfing signal now requiring confirmation, and should this occur in January or February then we could see a longer and much deeper move lower throughout the first quarter of 2010 with a possible retest of the USD1.25 price point or even a fall back as far as USD1.20. 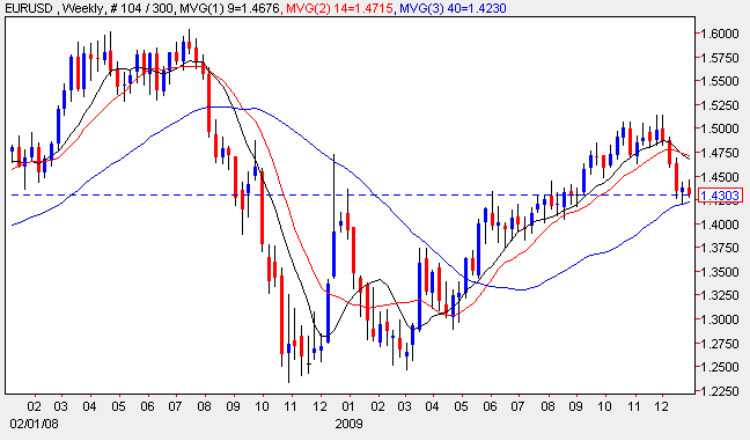 Finally the weekly chart is also exhibiting a bearish tone & having breached the support area between 1.47 and 1.44 is also confirming a possible move lower for the eurodollar with only the 40 day moving average providing any kind of support and cushion to a deeper move lower.